Tag Heuer has launched a golf app for Apple Watch, and has spun off its experience for the Tag Heuer Connected 45 Modular Golf Edition for the mass market. The iPhone app tracks your rounds, offering the ability to get 3D fly-over of every one of the 39,000 courses available in the Tag Heuer golf app. The app is free to use, but there’s an annual fee of $39.99 to use the Apple Watch features, which come as a premium. Starting with the iPhone app – you get distance to the green and hazards, shot measuring, scores and insights and a real-time club recommendation feature. However, if you pay the annual subscription you can also get many of the features of the Tag Heuer Connected Modular 45 Golf Edition. That means getting pretty much the same interactive 2D course maps and distances to the green and hazards. There’s also the same on-device scoring as well – and you can have up to four buddies on your watch and keep a leaderboard of who’s winning. It will also handle Stableford scores as well – which is actually missing from some pretty high profile, dedicated golf experiences – such as Wareable favourite Hole19. There’s a shot measuring feature – and it all syncs back to the iPhone app – where a host of metrics about your game are stored and tracked. This includes performance over par 3s, par 4s and par 5s – as well as estimated handicaps. The inclusion of what’s essentially the software of Tag Heuer’s new premium watch on the Apple Watch is curious. At this time the company has no plans to do the same for Wear OS. But what Tag Heuer has created is a brilliant golf ecosystem – superbly powerful, with loads of data and useful visual aids. 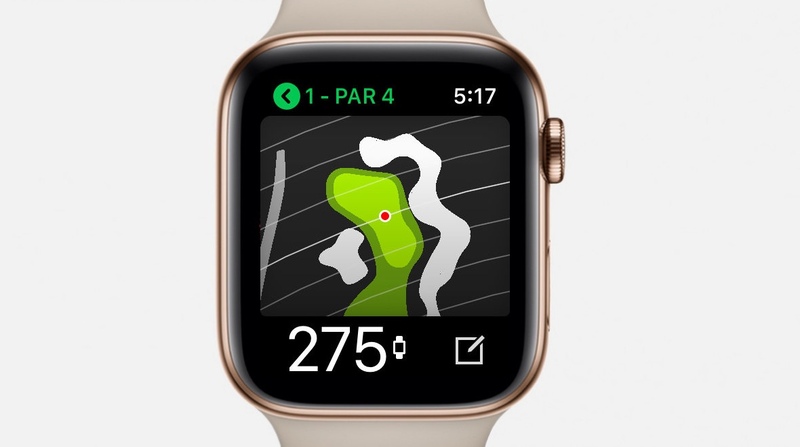 And – in a way – it’s a relief that this seriously recommendable golf app isn’t being saved for a handful of Connected 45 Modular users that have forked out $1850 for a Wear OS smartwatch.